"Freedom to advocate unpopular causes does not require that such advocacy be without cost. On the contrary, no society could be stable if advocacy of radical change were costless, much less subsidized...Indeed, it is important to preserve freedom only to people who are willing to practice self-denial, for otherwise freedom degenerates into license and irresponsibility... Freedom is a tenable objective only for responsible individuals." 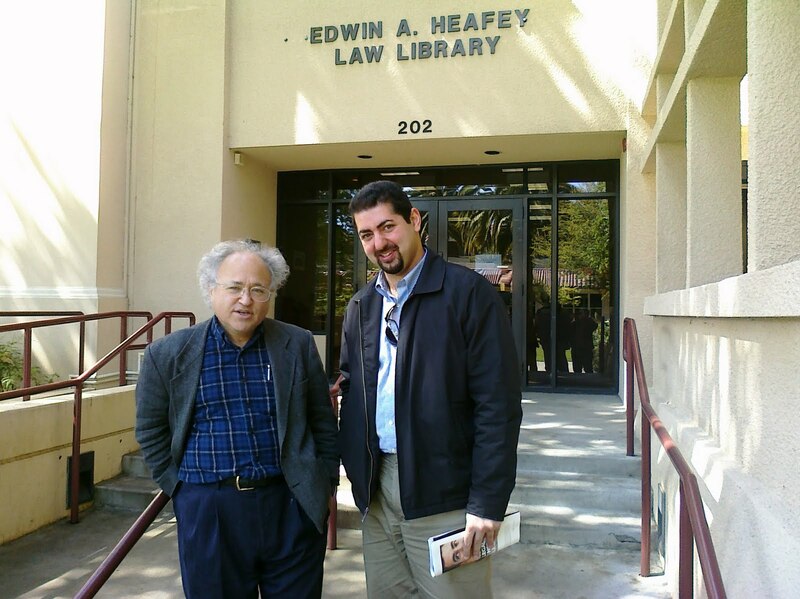 Friedman's main motif is that freedom requires self-evaluation and self-policing, which is preferable to government interference. The alternative, state-sanctioned coercion, necessarily leads to less freedom--a theme Friedman patiently hammers into the reader. If there is a flaw in Friedman's analysis, it is the missing link of how to prevent citizens with less self-control or citizens who are more susceptible to temptation from interfering with other, more reasonable citizens. Friedman may answer that this is where government is useful. He writes, "The existence of a free market does not of course eliminate the need for government. On the contrary, government is essential both as a forum for determining the 'rules of the game' and as an umpire to interpret and enforce the rules decided on." "Political freedom means the absence of coercion of a man by his fellow men. The fundamental threat to freedom is power to coerce, be it in the hands of a monarch, a dictator, an oligarchy, or a momentary majority. The preservation of freedom requires the elimination of such concentration of power to the fullest possible extent and the dispersal and distribution of whatever power cannot be eliminated--a system of checks and balances." 1. The scope of government must be limited. 2. Government power must be dispersed. 3. "The power to do good is also the power to harm; those who control the power today may not tomorrow; and, more important, what one man regards as good, another may regard as harm." The last principle is stunning in its beautiful, simple logic, and there are gems like this on almost every page. Perhaps Friedman's most salient point is that we forget the short history of mankind's relative affluence. He states, "Because we live in a largely free society, we tend to forget how limited is the span of time and the part of the globe for which there has ever been anything like political freedom: the typical state of mankind is tyranny, servitude, and misery." In other words, there is no such thing as a free lunch, and freedom is a goal worth striving for. "The result [of the banks lending money and keeping only 15 to 20 cents of each dollar deposit] is that for every dollar of cash owned by banks, they owe several dollars of deposits. [Thus,] any widespread attempt on the part of depositors to 'get their money' must therefore mean a decline in the total amount of money unless there is some way in which additional cash can be created and some way for banks to get it. Otherwise, one bank, in trying to satisfy its depositors, will put pressure on other banks by calling loans or selling investments or withdrawing its deposits and these other banks in turn will put pressure on still others. This vicious cycle, if allowed to proceed, grows on itself as the attempt of banks to get cash forces down the prices of securities, renders banks insolvent that would otherwise been entirely sound, shakes the confidence of depositors, and starts the cycle over again." It looks like Bernanke made the right decision, at least in the short term, by opening the discount window. If, however, he lowers interest rates in September, his reputation as an inflation targeter may not be deserved. In any case, read Capitalism and Freedom. It's an incredible education to be had, and in just 202 pages. I recommend the 40th Anniversary edition, with the year 2002 introduction by Friedman. 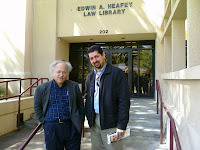 Note: the picture above is of Mr. Friedman's son and myself at Santa Clara Law School.